Two new works of fiction explore the chiaroscuro of the human heart and the dappled shadow it casts on those we love. 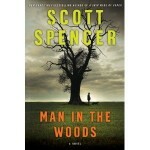 We talk with best-selling author Scott Spencer about MAN IN THE WOODS and with Dori Ostermiller about her quasi-autobiographical debut novel, OUTSIDE THE ORDINARY WORLD. Twice a National Book Award Finalist, Scott Spencer is the author of such bestselling novels as ENDLESS LOVE, which was made into a movie by Franco Zeferelli and A SHIP MADE OF PAPER. 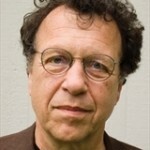 He is also a journalist, whose work has appeared in Rolling Stone, The New Yorker, O, Harper’s, and The New York Times. That’s certainly true for his new novel, MAN IN THE WOODS. It’s a thriller that transcends the genre to become a powerful psychological study of what happens when a good man does something horribly wrong and has to face the consequences. 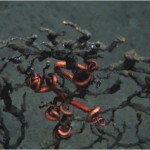 The news broke recently that dead and dying deep water coral reefs were found in the Gulf not far from the site of the Deepwater Horizon disaster. The photo of the dead coral was horrific. We spoke recently with Peter Lehner about his new book (co-written with Bob Deans), IN DEEP WATER: The Anatomy of a Disaster, the Fate of the Gulf, and How to End Our Oil Addiction. Lehner is the executive director of the Natural Resources Defense Council (NRDC). The entire interview will air in the near future, but we air a sneak preview this week. When Dori Ostermiller first started writing the book that eventually emerged as the novel OUTSIDE THE ORDINARY WORLD, it wasn’t a novel at all. That was nearly 20 years ago, and the book was a memoir. She worked on it on and off (along the way, she got married, had children and began Writers in Progress, a business teaching writing workshops) and discovered that she had a knack for invention. 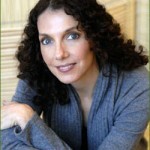 Her characters, now fictional, took on a life of their own.